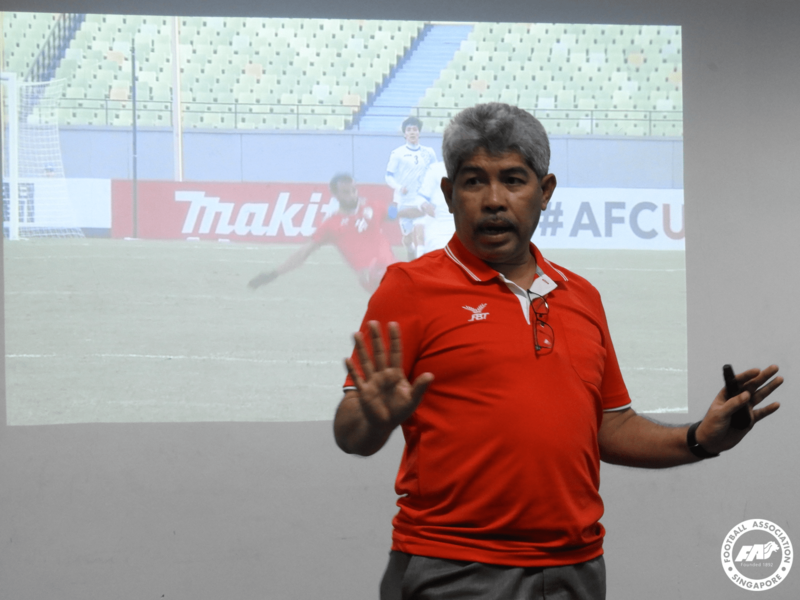 These were the questions raised to Singapore Premier League (SPL) club representatives during a sharing session with the Football Association of Singapore’s (FAS) Referees Department on Monday night. 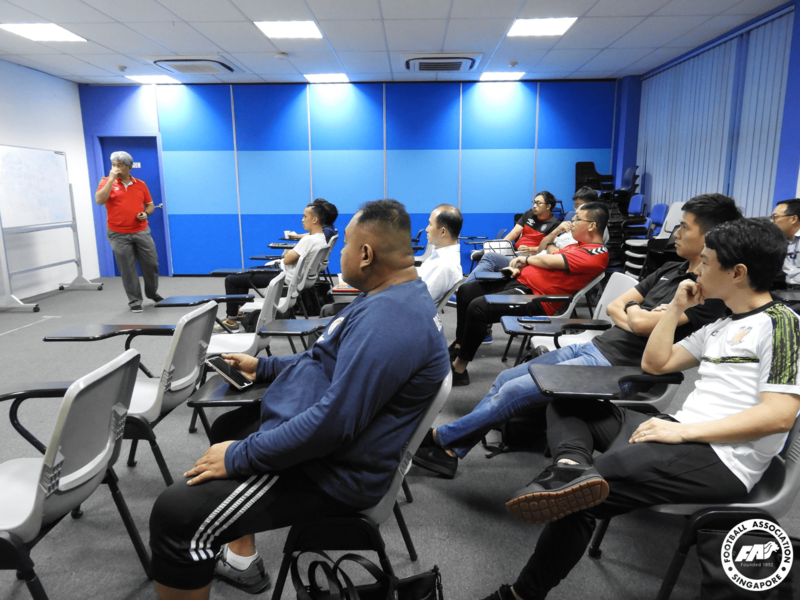 A total of 12 representatives from six SPL clubs attended the session conducted by local referee instructor Mohd Ali Samad and former AFC Elite Referee Abdul Malik. Following feedback from clubs to the Referees Department, the session was organised to create awareness on how referees’ decisions are made in the game and bridge the gap between coaches, administrators and match officials on the concepts of decision-making. “I think it is good for us to have more sharing sessions so that club officials will be aware about the considerations that referees have before they make decisions in a split second – whether they have a good angle, the action and position of players. It is not easy for referees to make a good decision at the correct time and place during the game and there is immense pressure on them to perform well,” said Ali. Club officials learnt about the concepts and application of the Laws of the Game – through a series of video clips where they reviewed and discussed various refereeing situations including physical challenges and tactical fouls – and raised questions about decisions made by referees on the field. 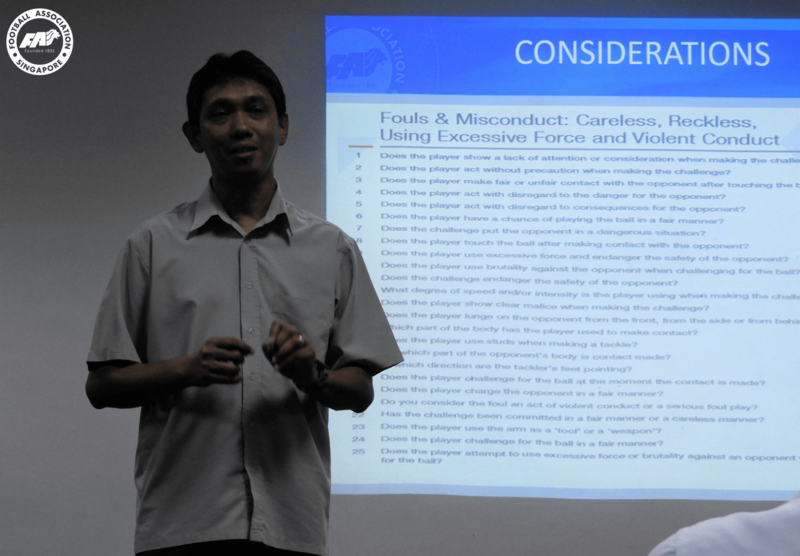 “It helped us understand better that referees, more often than not, find themselves in challenging situations where they have to make a quick and accurate decision, yet with so many considerations to be thought through before arriving at an outcome,” noted Tan. With the overall aim of developing clubs’ capabilities, the FAS Referees Department hopes to give coaches and administrators a clearer understanding on the Laws of the Game and its applications such that they will be able to manage their respective areas with the necessary expertise. The FAS will also continue in our efforts to continually enhance refereeing standards in domestic competitions.